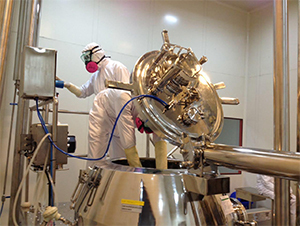 A state-of-the-art formulation development & manufacturing facility spread over 95,000 square meters at Valthera, located near Ahmedabad, India was commissioned in 2016, complying with global regulatory norms to manufacture pharmaceutical solid oral dosage, oral liquids, oral suspensions and complex process of solid dispersion using organic solvents. The core focus is inclined towards finished formulations into highly specialized niche segments like Immunology, Oncology and Hematology. 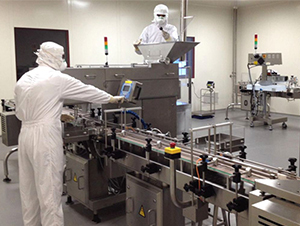 The manufacturing facility is designed as per global regulatory standards like the USFDA and EUGMP for targeting the global markets. It has state-of-the-art manufacturing equipments built with high degree of automation. The major equipments in the manufacturing area are Rapid Mixer Granulator, Fluid Bed Processor, Rota Evaporators, Vacuum Tray Dryers, Automatic Tablets Coaters, Tablet Compression Machine & Capsule Filling Machines. There is also provision for future expansion for specialty formulations. The equipments are commissioned in modular clean room panels, specially designed in line with global regulatory requirements. The core manufacturing areas for Oral Dosage Forms are maintained at Class 1, 00,000 and having EU13 filters maintained as per the classification required. Every operation unit has a separate HVAC system, which allows handling of multiple products at the same time without any contamination. Fully Automated Packing lines for container Packing & Alu/Alu Blister packing for tablets & capsules. Dedicated dispensing facilities. All the dispensing of raw material and packing material is done under RLAF under supervision of trained and qualified personnel. 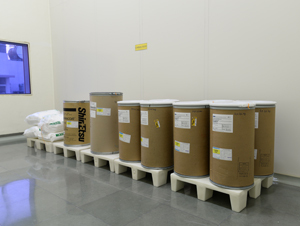 Dedicated Sampling facility for raw material and packing material. 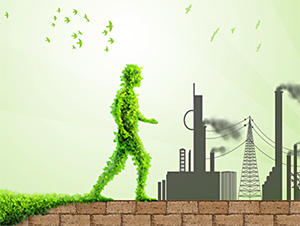 We are an environment conscious organization and our process framework includes responsibilities such as environmental management and implementation of optimal methods and measures for its preservation. As a responsible corporate, Concord has always believed in taking all the necessary precautions to help maintain the balance of our Eco-system. To this effect, we have also set up an advanced facility for the treatment of the various effluents that are generated during our operations (which are already in compliance with all statutory norms and procedures). To ensure safety and health of our employees, we regularly organize medical/health check-ups and spread awareness programs about avoiding work hazards.